It looks more and more like Conor McGregor won’t be returning to the UFC ring. 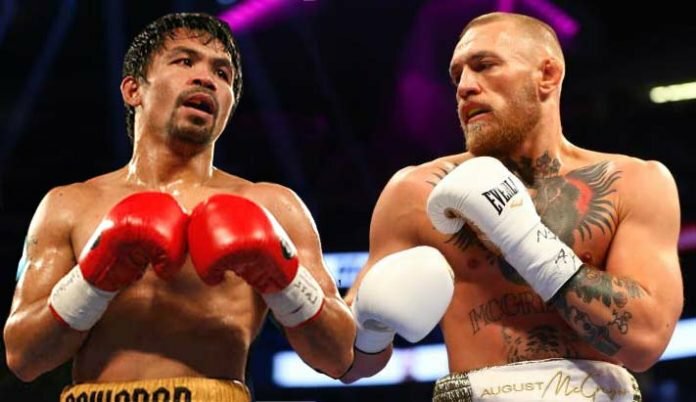 There have been talks recently about another boxing match for the Irishman, this time against Manny Pacquiao scheduled for springtime. It’s been more than a year since Conor McGregor fought in the UFC, and his boxing match against Floyd Mayweather was a massive success over the summer. McGregor held his own for the most part, and earned a huge payday (as did Mayweather). The prospect of another super-fight would be hard to pass up. This line opened a lot shorter than it did for the Mayweather bought, where McGregor was a +1000 underdog. Sportsbooks know they’ll be able to take a ton of public action on McGregor while sharp bettors will likely take the big favorite again. While the fight isn’t official yet, the market to bet on it certainly is. Is Pacquiao an easy winner, or could McGregor actually pull off the upset?